Battlefield 1 is a challenging game where only the strongest survive. As such, gamers need to use all their skills to get out alive of epic battles. And when they do, Battlefield 1 has a reward system for recognizing player effort. It’s already known that Battlefield 1 Battlepacks that are notoriously hard to get. Unfortunately, for thousands of players, this is not the only bug that limits the gaming experience. Many gamers are also complaining that Battlefield 1’s medal progress is broken and fails to track progress. The good news is that the Weekly Medal system is not affected by this bug. Medal progress is completely not tracking now, other than the Weekly medal you can choose to track. Either allow us to track medals other than the Weekly one, or fix the system to track progress for the other medals. I don’t know what the ultimate intention was but right now there is no way to get any progress on medals other than the Weekly. Please fix. However, it appears that the medal progress system is not broken, but just different. This means players can only track one medal at a time out of the five rotated weekly. In other words, this week you can fight for the horses, the next week for the Medal of the Khan and so on. This explains why the Weekly Medal system is the only one that’s not affected by this “bug”. Battlefield 1 fans don’t like the new medal system and consider player efforts is no longer rewarded properly. I agree that this new medal system is a backwards step from previous games. 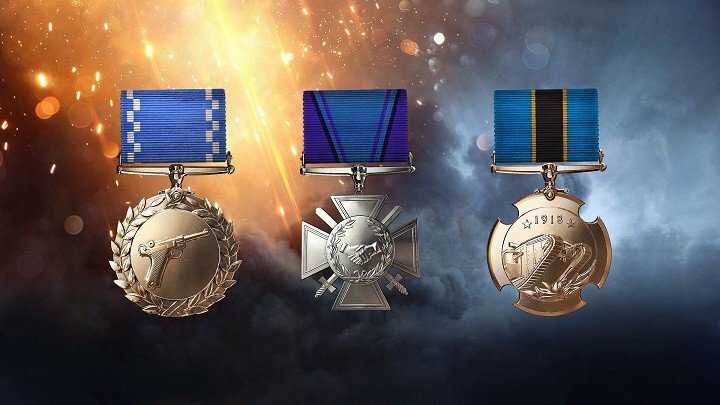 Why do we only get progress towards our tracked medal? What happened to rewarding us for everything we did, not just the one medal we selected? This seems like nothing more than a way to slow player progress. Its frustrating, confusing and simply not fun. Although the current Battlefield 1 medal system is not a great one, we at least now know it’s working as intended.